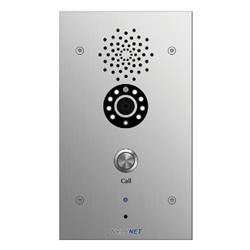 WatchNET’s AVCEM1 is a commercial grade emergency station for use with WatchNET SIP intercom products, EPBX or SIP telephone (SIP server required). It features a 2.1-megapixel camera with a 120º angle of view that captures full-colour 1080p video. The built-in microphone lets a user have a two-way conversation with the visitor while also being able to see them in real time. The unit’s 316 grade stainless steel enclosure makes this door station ideal for outdoor use in high traffic areas where vandalism could be an issue such as parking facilities, college campuses, medical centres and industrial parks. 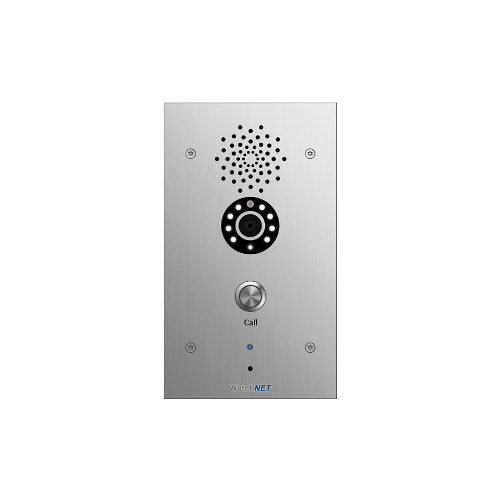 It’s also ONVIF compliant meaning its compatible with third-party NVR’s.